Discussion in 'Music Corner' started by George P, Nov 3, 2013. I tried selling my Mercury Living Presence duplicates here when I bought the box sets; hardly a look. Not worth the effort to list them at Amazon, so I gave them to the public library. 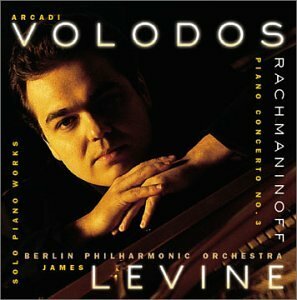 This one is out of print, and I'm not that crazy about the conducting, but the sound is excellent, as is the Volodos/Levine performance which is also OOP unfortunately. Both of those do sound great IMO. I think all of the Naxos SACDs are OOP IIRC. First to PM me gets it for free. Bump for this if anyone wants it. A strange CD arrived this morning. I played it 2 times already. It is simply fantastic. Modern composers arranging JS Bach. Kremer's dedication and originality are well known. Invest! Stone Turntable, 5-String and Rose River Bear like this. It took me a while to find this but it's finally here and just finished listening to it. A really nice performance and flawless playing by the LSO. Sound quality is great for the time this was recorded which was 1958 IIRC. ...wow, what a coincidence; I just finished listening to this CD (arrived some weeks ago but wasn't able to play it until today). Weird....I can see the image fine. In any case, I am talking about Grieg - Peer Gynt, with Oivin Fjeldstad conducting the London Symphony Orchestra, original Decca UK pressing LP. wow, what a deal. Must admit that, speaking as somebody of the younger, "born years after the Beatles break up" generation, I knew about the sad story of Du Pré only after watching the "Hilary and Jackie" movie. In the 90s, I used to buy audiophile-oriented italian magazines such as "Audioreview", "Suono", "Stereoplay", "Fedeltà del suono" and they all had extensive classical corners with great articles and reviews describing both the performance and the sound. They never steered me in the wrong direction. Recordings by Von Karajan, Solti, Gardiner, Harnoncourt, Abbado, Pinnock, Pollini, Giulini, Ashkenazy, Brüggen were regulars but there is a lot of great stuff I discovered only much later, thanks to the www and this forum (eg: who knew about the superb Beethoven cycle by Günther Wand or this Krips guy conducting the Mozart symphonies??? Thank you George P and all of you). I guess fame has it ups and downs in classical too; while there are dead conductors whose popularity never seems to fade (Von Karajan, Solti, Bernstein are prime examples) there are other great ones whose memory is now almost lost; I lost the count of the times I read about Giulini's great performances but now he seems almost forgotten. Back to Jacqueline Du Pré, I don't know if that's just because italian magazines didn't give her coverage or what else, but it's incredible that her awesome talent escaped me for years.. I should be getting a box set of Giulini's London recordings for EMI tomorrow. This is my first time hearing this wife/husband piano duo, and they are very good, as are the pieces played & the recording quality. was originally issued in 1962.
dale 88 and bluemooze like this. Is there a worse recording of Mahler's First than Leinsdof account with the Boston SO (1963)? Maybe there is but I haven't found it. This is the worse I 've heard of this work. Lifeless, stiff and cold that's how I can describe it. I 've heard also his Third with the same orchestra and I found it equally dreary. Obviously Leinsdorf wasn't much of a Mahlerian. IIRC, my dad had a Tchaikovsky ballet album conducted by Kostelanetz. Has anyone taken a gander at John Eliot Gardner's new book on Bach? There's a Blu-Ray audio thread that you should check out. Most of the commentary is on non-classical, but it is still informative. Reviews overall have not been so good. 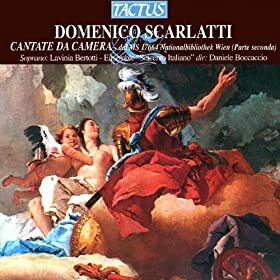 Many of the releases appear to be the same masterings as UME used for its SACDs and DVD-As (and most of the classical titles were issued in one of those formats). Now UME is asking more money for the same thing. Like others I was intrigued to try out Blu Ray Audio and am not totally convinced. I bought the Kleiber Beethoven Nos.5 & 7 which I have on vinyl and SACD and so far whilst it is certainly very clear I found it quite harsh and unexciting. I tried out a couple of Rock Blu Rays and found them equally lacking. 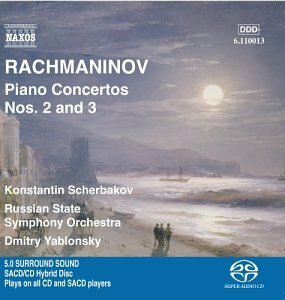 On the other hand the most thrilling CD experience I have just had is with the SHM-Platinum CD of the Mravinsky Tchaikovsky No 6. As more of a vinyl person this has completely changed my perception of CDs. I literally cannot stop playing it. The detail is exquisite and dynamics are extraordinary (at least on my quite average system). I have been playing using an analogue output which undoubtedly helps but this is really so close to vinyl I keep expecting to hear the odd light tick. Off the back of this I have ordered a few other SHM-Platinum including the Kleiber Beethoven which will be interesting to compare to the Blu Ray. Has anyone else taken the plunge with SHM Platinum? The only issue I can see is they seem to be focusing solely on DGG releases for the moment. George, thank you very much for taking the time to post this in detail. I went to a thrift store today looking for some hair decorations for my daughter in the attached "bazaar" section (short description: cheapie junk booths) in satisfaction of a birthday request. 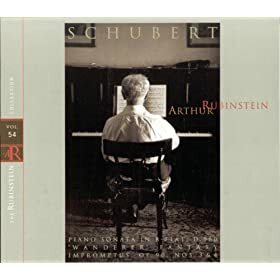 While there, I cast my eyes over the CDs in the main store, and there was a copy of the Schubert sonata from the earlier Rubinstein Collection edition. I probably wouldn't have paid much attention, but, remembering your post, I looked more closely, and, lo and behold, it turned out to be the "previously unreleased" one from 1965, RCA 6257-2-RC. Needless to say, I snatched that puppy right up! Looking forward to auditioning as the madness of my present life permits. The same Schubert sonata recorded as a "first release" by Horowitz on DG; coupling is Schumann's Kinderszenen. Horowitz is not in general my favorite pianist, but I do owe him a debt of undying gratitude for introducing me to Schubert's impromptu op. 90/4, to this day one of my favorite piano works, via one of his TV broadcasts back when I was a kid. Hence, the chance to hear him in the great final sonata caught my fancy. Beethoven: Serenade op. 8 and string trio op. 9/3 by the Wiener Streichtrio on Calig. I have high hopes for this one; I think the label is defunct, but I've yet to hear a Calig release that wasn't very nicely recorded, and most have offered first-rate performances, if by unfamiliar names. I first met up with the work of Gitti Pirner in a Calig disc of Mendelssohn's preludes and fugues. Torelli: Concerti, Sinfonie, & Sonate for trumpet and strings. Mauro Maur, trumpet, with the Budapest ChO under Giovanni Pacor, on the new-to-me Italian RS label. Or, as the booklet has it, "Erresse by Darpro srl-Undine/Italy." Poulenc: Piano Works (Les Soirees de Nazelles; 3 Novelettes; Pastourelle; 3 mouvements perpetuels; Valse; 3 Pieces; selected Improvisations) by Pascal Roge on Decca. Beethoven: Piano Trio op. 1/2; Brahms: Piano Trio no. 2. Trio di Trieste on Ermitage. A Swiss radio recital from 1970. Beethoven: Qtts. opp. 18/4 and 59/2. Artemis Qtt. on Virgin Classics. Stravinsky: Piano Music (Piano-Rag Music, Circus Polka, two Sonatas, Serenade in A, Tango, 4 Etudes op. 7) by Victor Sangiorgio. 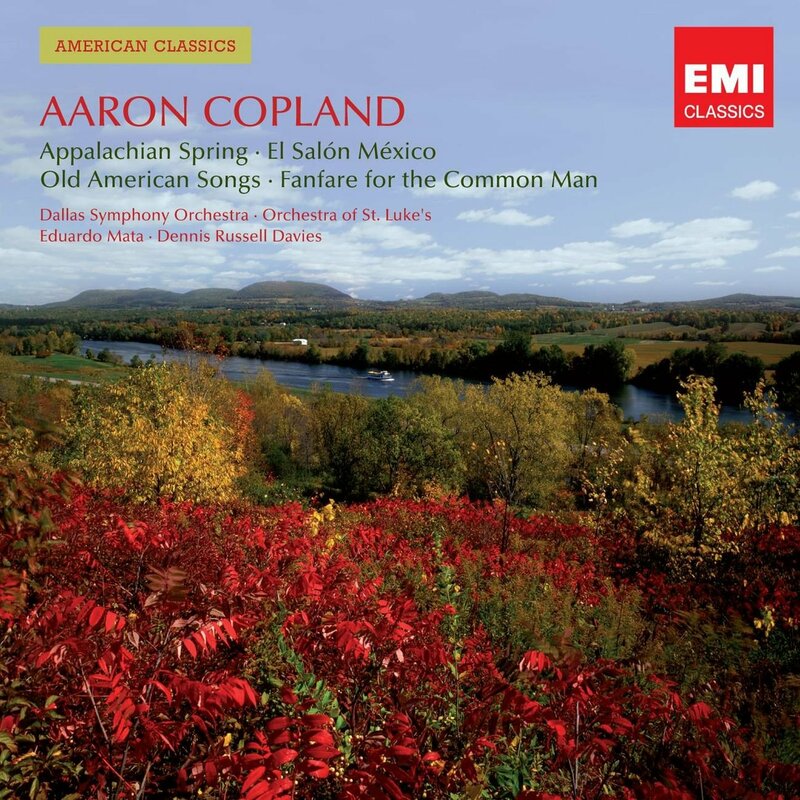 Naxos reissue of a recording originally on Collins Classics. The jewel case is cracked, but it's still shrinkwrapped. Bach: Partitas 1 and 2; Schubert: Impromptus op. 90. Simone Dinnerstein for Sony. A promotional copy "available January 31, 2012" under the title "Something Almost Being Said"; oddly, the booklet is just a single sheet with a poem reprinted on the back. This will give me a chance to give the pianist a fair hearing; so far, all I know of it are snippets caught on the radio. 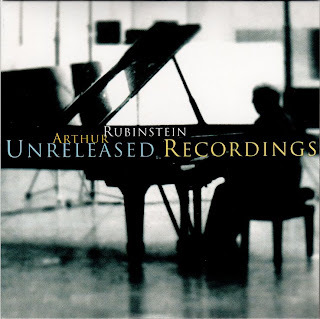 Now enjoying Rubinstein's unreleased Schubert D960, from April 1965. I forget who said it was better than the released version, but I absolutely agree. 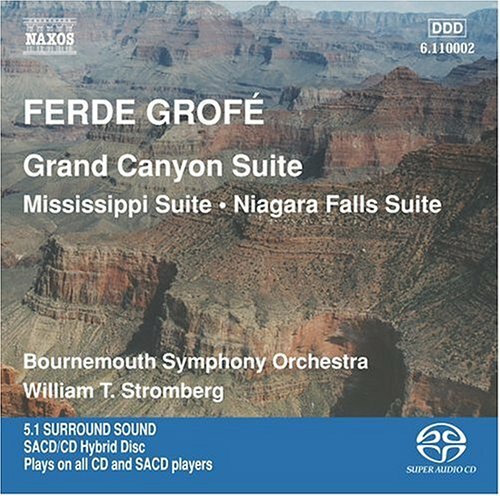 Try the Naxos Bluray Audio discs of Schubert's Overtures and Rossini Overtures vol.1 (AFAIK there is no volume 2, though). $20 (not $30) for 2 hrs of music each, both stereo PCM and multi-channel DTS-HD Master Audio. I treasure also my Mravinsky/Tchaikovsky SHM-SACDs. Would it be possible to let me know the transfer/mastering credits of your platimun one please? The Kleiber Beethoven SHM-SACD is superb as well, easily superior to the Int'l SACD where most propably the new Blu-ray audio is based on.